In the first installment of a new Eyes on the Ties monthly series that puts a spotlight on the “fracketeers” — the corporate elites seeking to profit off of controversial pipeline projects and fracking — PAI/LittleSis looks at Antony Ressler of Ares Management, a major corporate backer of the Pilgrim Pipeline. See our report on the Pilgrim Pipeline here. What do the New Jersey senate and assembly, the Ramapough-Lenape Nation, and virtually all of downstate New York counties have in common? They all fiercely oppose the construction of the Pilgrim Pipeline, a proposed 178-mile double pipeline set to transport fracked crude oil and refined oil products between Albany, New York and Linden, New Jersey. And they also have a common enemy: Antony “Tony” Ressler, Chairman and CEO of Ares Management, a private equity company that manages tens of billions in assets. 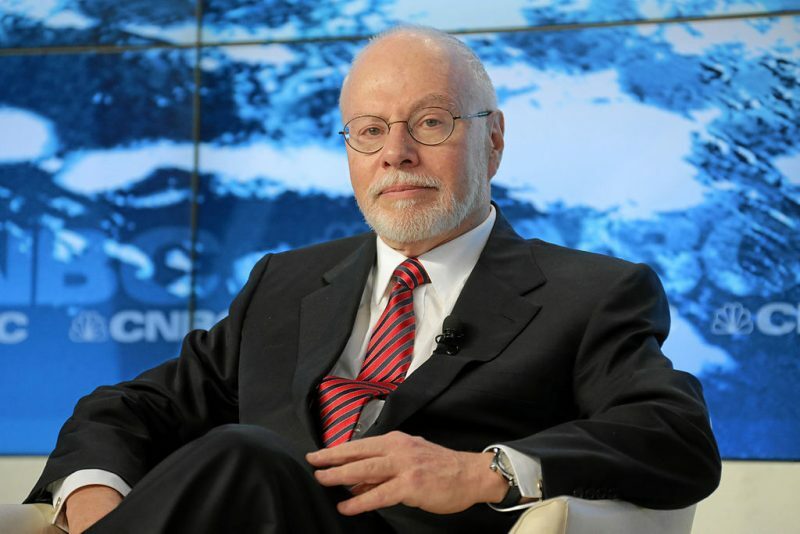 Ressler has had a long career in the upper echelons of the hedge fund world. 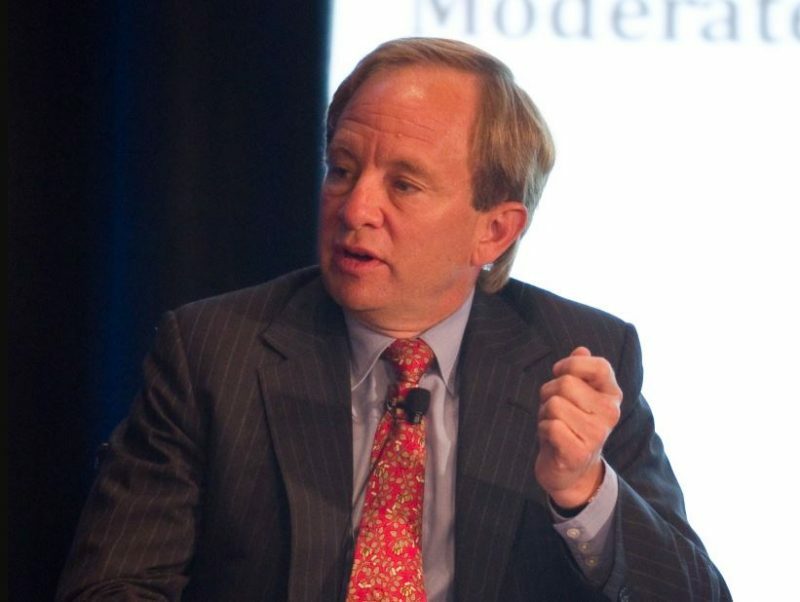 Forbes describes him as an “industry veteran” who “had a prominent role in the bond department of legendary Wall Street firm Drexel Burnham Lambert” before he cofounded Apollo Management with Leon Black — the billionaire hedge fund manager who also happens to be Ressler’s brother in law. Leon Black — worth just under $6 billion — and Apollo have a history of shady dealings. Black’s notorious hedge fund holds a 40% stake in Momentive Performance Materials. Apollo — along with others, like Trump ally Stephen Schwarzman’s Blackstone Group — was a key force pushing for cuts to workers’ health and life insurance benefits in 2017, ultimately resulting in a strike. 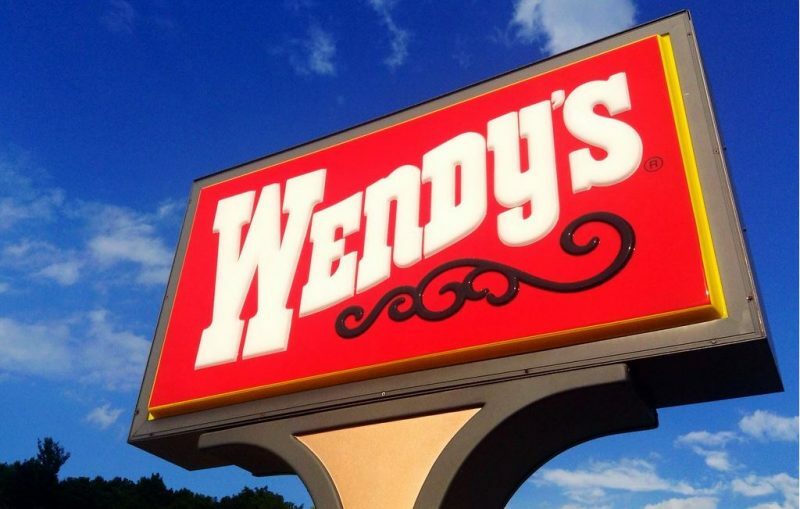 And just last year, Apollo agreed to pay $63 million in fines for misleading investors. Black also engages in lavish conspicuous consumption — he reportedly has a $2 billion art collection, and he paid $40 million for Tom Cruise’s huge Beverly Hill estate. 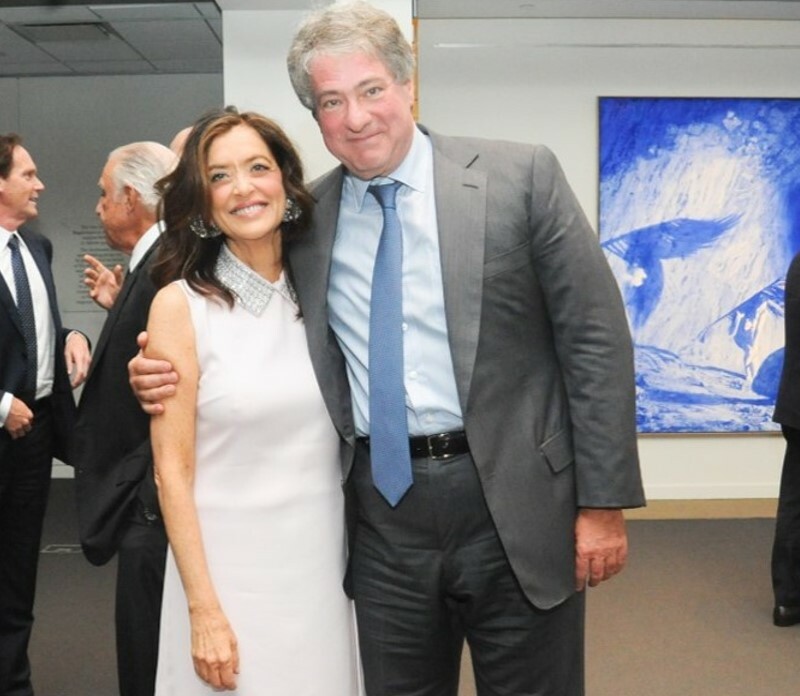 Billionaire hedge fund manager Leon Black and his wife Debra, Tony Ressler’s sister. While not as rich as his brother in law, Ressler is no slouch. He is worth over $1.6 billion, and Forbes ranked him as the 486th richest person in the US in 2016. Ressler has been with Ares Management since its founding in 1997, and he owns 30% of the company. Today, he serves as its Chairman and CEO, and he’s a partner in the Ares Private Equity Group. Ares openly advertises some of its prized portfolio investments on its website. The industries it invests in include oil and gas (Blackbrush, CWI, Gastar, Halcon, Verdad), the military industrial complex (Sotera), healthcare (CHG, Aspen Dental, Unified Physician Management), and retail (99¢ Only Stores, Neiman Marcus). It also manages or has recently managed dozens of pensions funds, including those of public employees in almost two dozen US states. Some, like the Nebraska Investment Council, are directly invested in Ares’ energy-related portfolios. But Ressler’s resume stretches well beyond the daily world of hedge funds and private equity. He lives in Los Angeles, where he’s a big player in the city’s elite cultural life and philanthropic efforts. For one, Ressler sits on the board of directors of the highly-lauded Cedars-Sinai Medical Center. According to Inside Philanthropy, Ressler takes an interest in health, especially children’s well being — though it’s unclear why, then, his private equity group is financing a fracked gas pipeline that carries major public health risks. But Cedars-Sinai also offers Ressler the chance to keep up with his elite cohort. His fellow board members include the likes of famed director Steven Spielberg and DreamWorks co-founder and major Democratic Party establishment fundraiser Jeffrey Katzenberg. The Cedars-Sinai gala always features a slew of Hollywood celebrities and bigwigs. Ressler is also a big patron of the arts. He currently serves as the co-chair of the board of the Los Angeles County Museum of Art (LACMA). Like Cedars-Sinai, LACMA is flush with elite status, with its most recent gala featuring the likes of Gwyneth Paltrow, Demi Moore, Jaden Smith, and Mary Kate and Ashley Olsen strutting their high fashion. And along with attracting Hollywood socialites, LACMA also brings in a host of powerful figures who serve with Ressler on its board — for example, philanthropist and World Oil Co-CEO Steve F. Roth and hedge fund manager Joshua S. Friedman. Many of these Los Angeles socialites that Ressler mingles with are also backers of an issue near and dear to his heart: the promotion of charter schools. Like many west coast billionaire elites from Hollywood to Silicon Valley, Ressler sees himself as a superman figure, willing and ready to swoop down from his mountain of wealth to rescue “underprivileged” children from subpar public schools (nevermind that the state of these schools — underfunded and filled with students who come from impoverished material conditions — is the flipside of the same status quo that props up Ressler’s lifestyle and wealth). 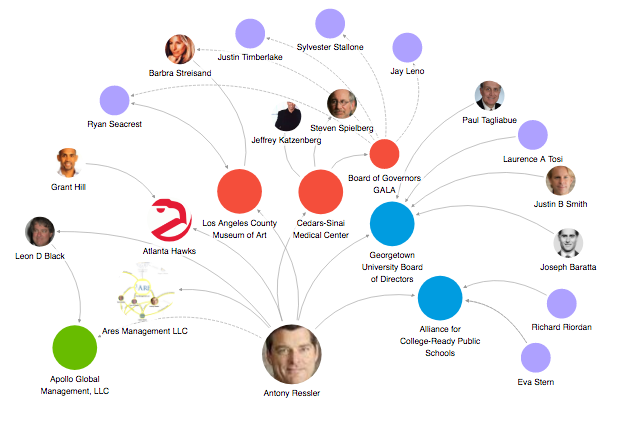 To this end, Ressler kickstarted the Alliance charter school network back in 2004, which now stands as the biggest conglomerate of charter schools in LA. The Alliance’s board of directors and advisors contains a long list of influential elites, including ex-LA mayor Richard J. Riordan, who recently gave one $1,000,000 to a successful pro-charter capture of the Los Angeles school board. Riordan was joined by several outside billionaires in this takeover, including Netflix CEO Reed Hastings, the Walton siblings, and the Gap co-founder Doris Fisher — all kindred spirits to Ressler’s noble mission of uplifting the poor through top-down privatization schemes. In addition to all this, Ressler is also the principal owner and board chair of the Atlanta Hawks, a professional basketball franchise. Ressler lead a group of investors who paid $730 million for the team in 2015. Ressler has also been a minority owner of the Milwaukee Brewers, a Major League Baseball team, since 2005, where the same corporate welfare shenanigans go on. The Brewers — and Ressler — get millions of public dollars annually through a sales tax. “The tax has operated as something of slush fund that can be grabbed to pay for everything from a new scoreboard for the Brewers, installed in 2011, to $1.6 million worth of PR help for the public stadium authority,” wrote columnist Bruce Murphy. In total, he said, taxpayers may end up a total of $530 million of the stadium’s costs. Meanwhile, CBS Money Watch ranked Milwaukee the second poorest city in the US in 2015. 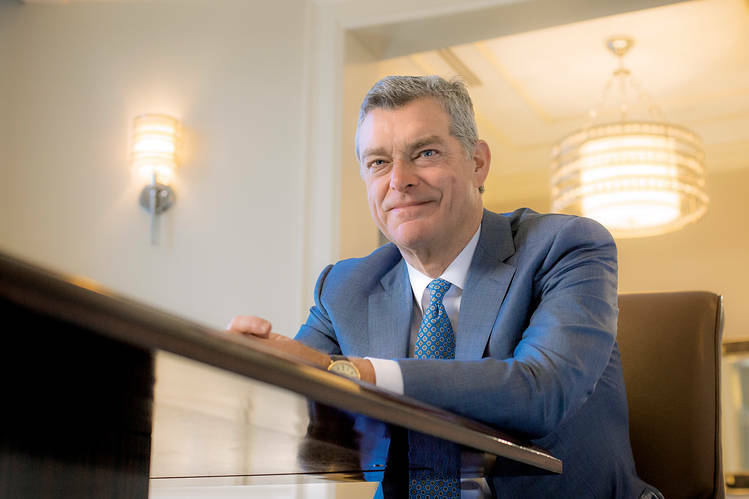 Tony Ressler is a quintessential member of the power elite — the head of a major billionaire corporation, a director on powerful boards, a big philanthropic patron, and a denizen of elite socialite circles. And it’s this man, from his home base in Los Angeles, who is helping to drive the funding of the controversial Pilgrim Pipeline project that dozens of communities across New York and New Jersey are opposing en masse.